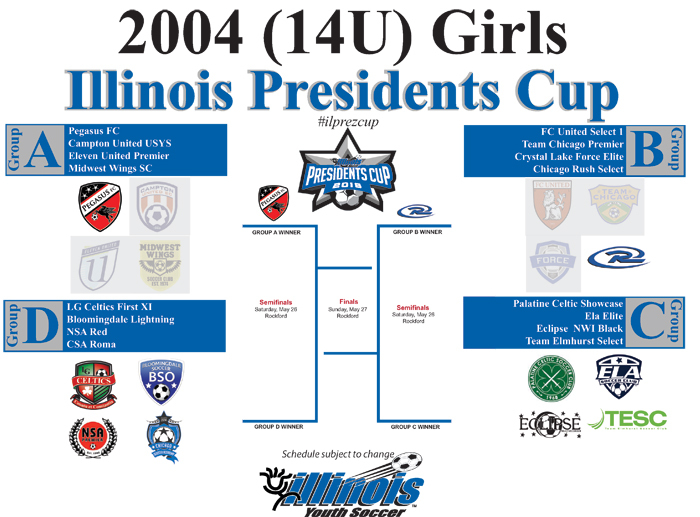 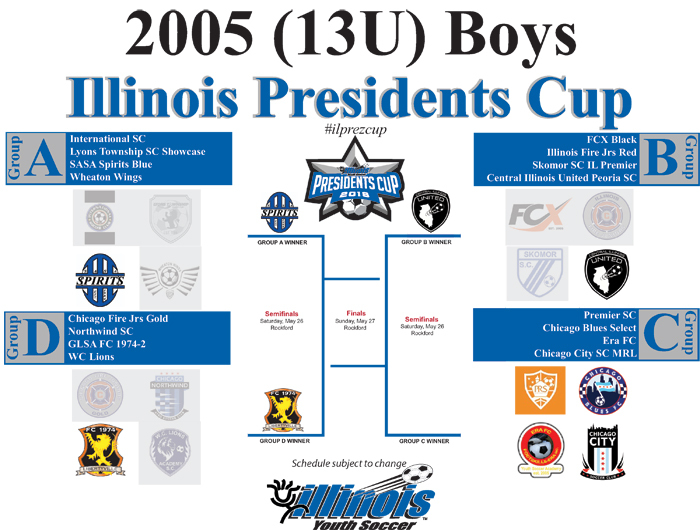 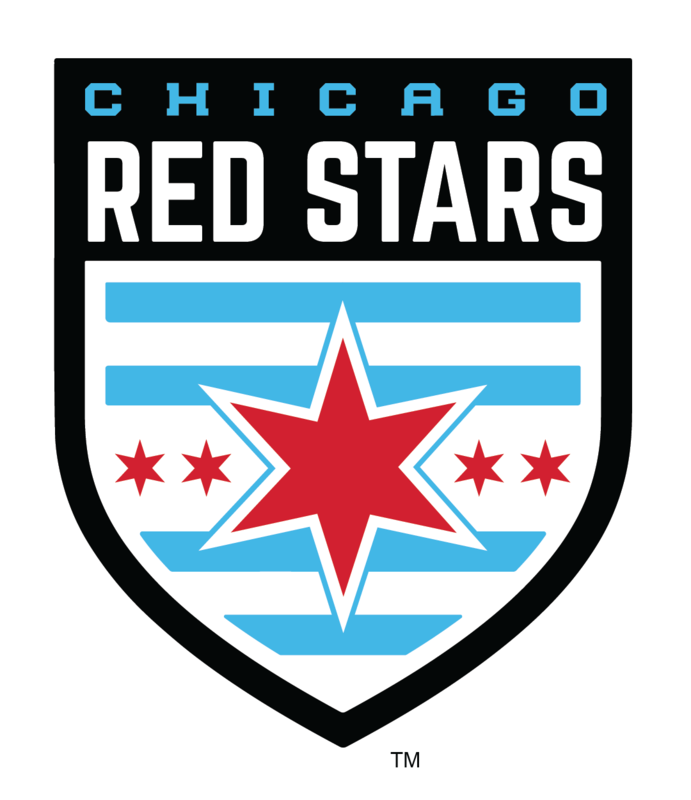 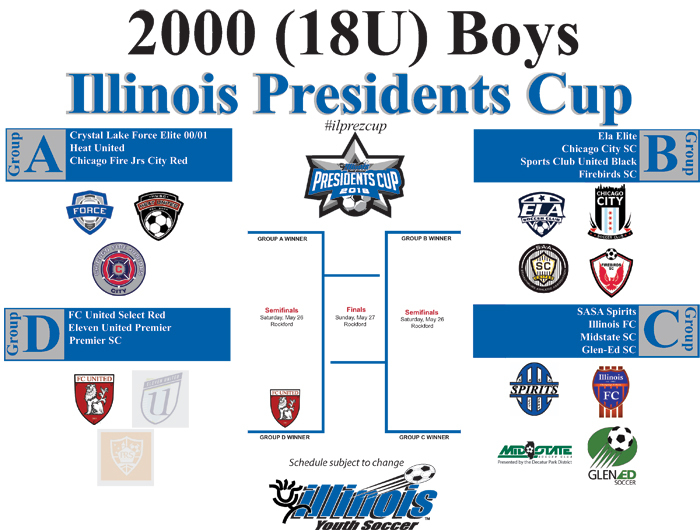 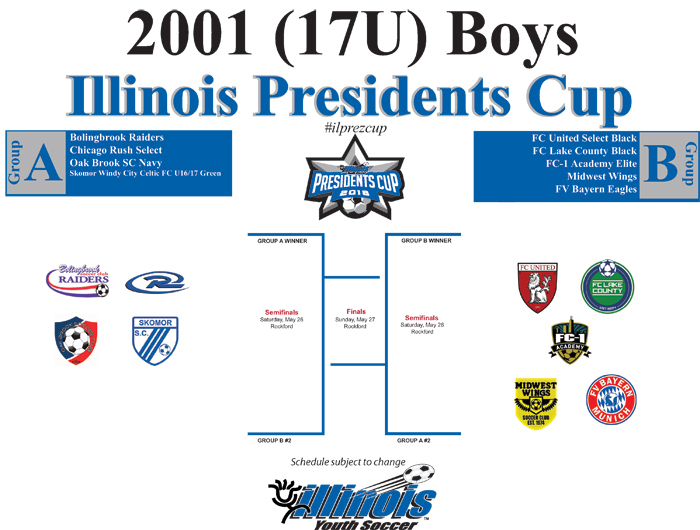 Group play of the Illinois Presidents Cup is nearing a conclusion with teams earning their spots in the semifinals over Memorial Day weekend in Rockford. 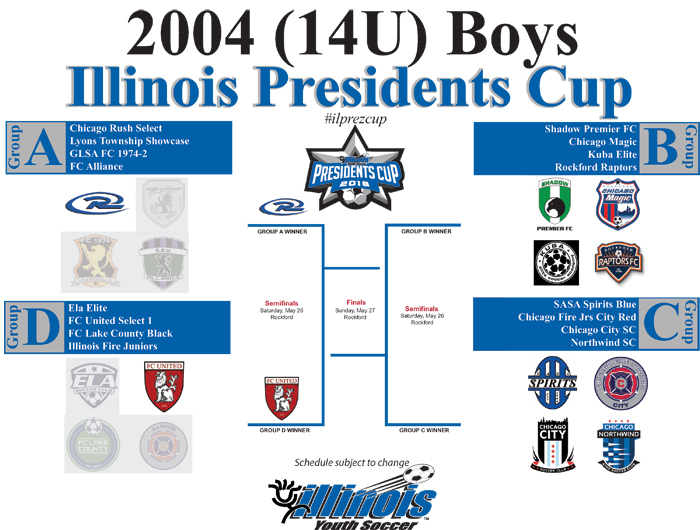 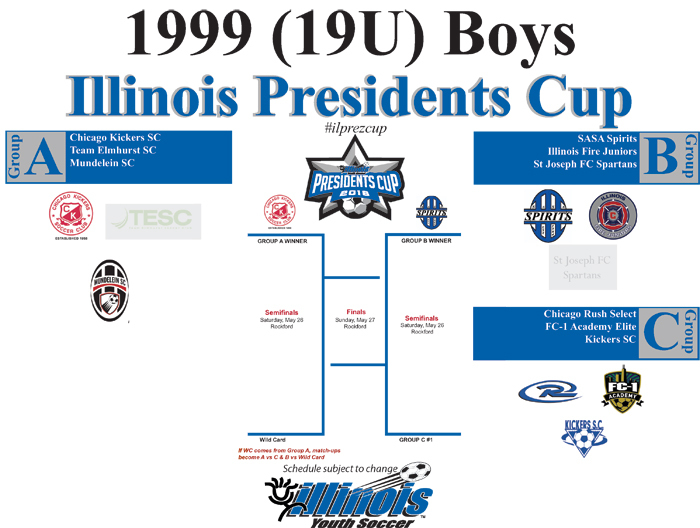 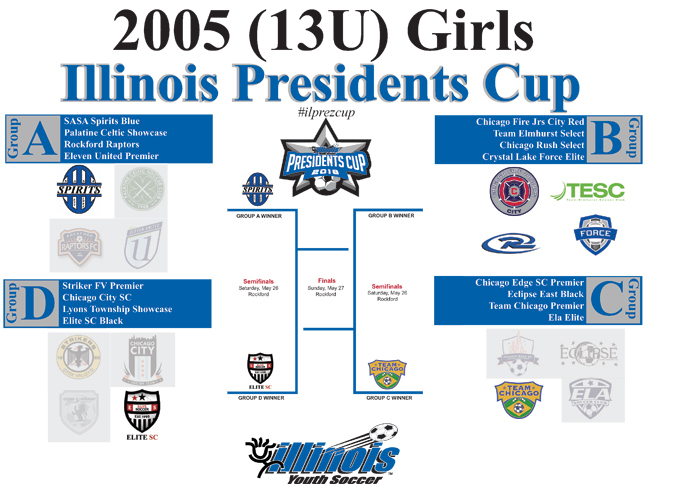 Illinois holds one of the largest Presidents Cup competitions in the country and Illinois teams have won 19 out of a possible 42 Midwest Presidents Cup titles since 2014. 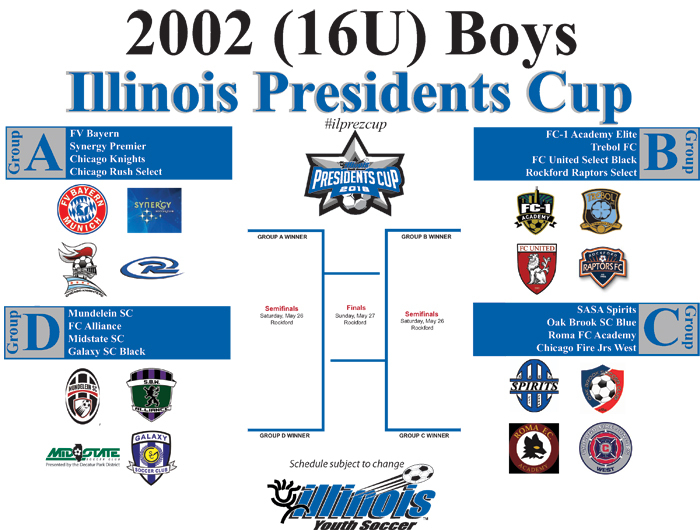 The National Presidents Cup championships showcase the four Regional champions in the 13U-18U age groups on a National stage. 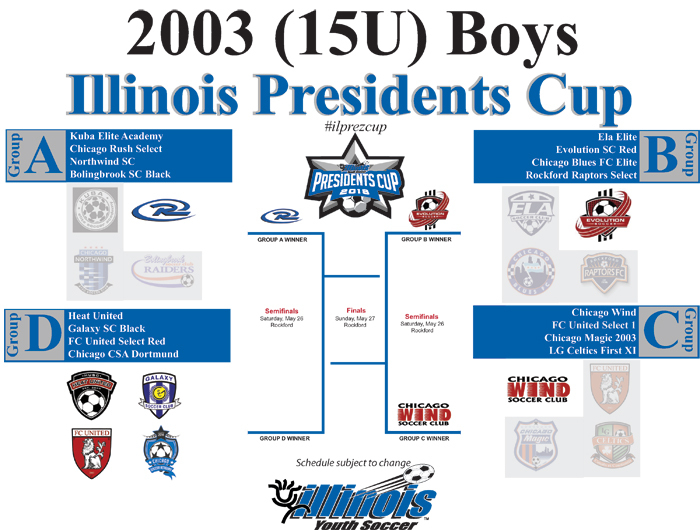 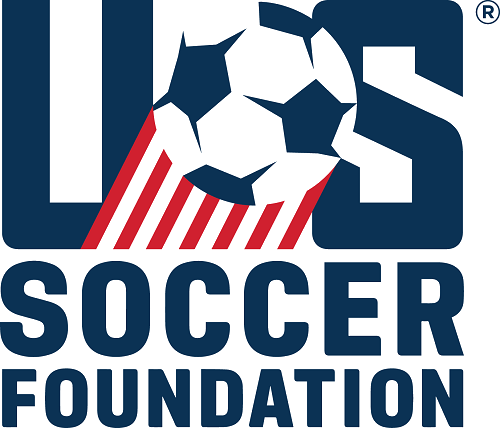 13U-19U Presidents Cup state champions advance on to the US Youth Soccer Region II Presidents Cup June 14-18 in West Chester, OH.